If you own a warehouse or any other type of shipping company, then you probably understand the importance of properly reinforcing, fastening, holding, combining and stabilising the products you work with, or in other words, the importance of strapping products. While getting the right strapping material can be rather easy, as there are only a few options to choose from, buying strapping tools can sometimes be somewhat confusing. There are various options available both online and in hardware stores, and getting the best deal can be hard if you don’t have the knowledge in choosing the best strapping tool. So what are the leading features and characteristics you should look for, and which steps should you take before you open up your wallet to buy a strapping tool with your hard-earned money? The portability you require from your strapping tool will more or less determine the right one for you. Generally, you want it to be as portable as possible, which means it shouldn’t be too big, but it still has to be big enough to apply enough force in order to make strapping as quickly and efficient as possible. Time is money and there’s never excess of time to fool around! Perhaps one of the most important factors to consider is the safety of the tool. Avoid buying strapping tools that aren’t safe to use, as they can easily end up injuring your employees. First and foremost, you want to avoid that because your employees are those who make your company function. Secondly, there’s always the chance of getting sued by an injured employee, and you’ll probably end up paying a lot more money for the compensation than buying a quality, safe tool in the first place. 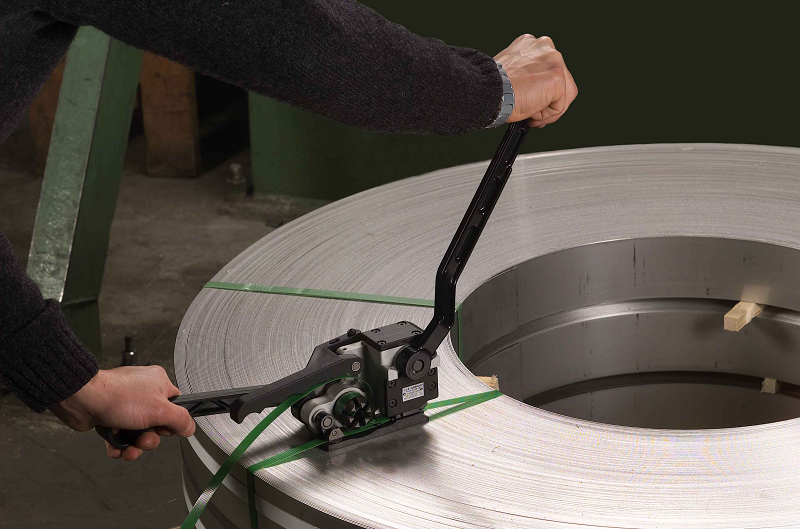 Before you buy a strapping tool, learn all about the latest technologies that surround them. Whether that’s in their manufacturing or operational process, it’s important to be up-to-date if you want to get the best value for your money. Technology embeds in many other characteristics of the tool, such as speed, power and efficiency. Moreover, you’ll have an easier time maintaining an up-to-date tool than a tool that’s so outdated, the only people who can maintain it are in a nursing home. As much as we don’t want to admit, price does play a huge role when buying practically anything. Typically, you get what you pay for. However, that isn’t always the case, so you should do your homework on the popular brands, popular models, etc. to make sure you land the best deal.